Last year, mama, grandma and I (yeah! 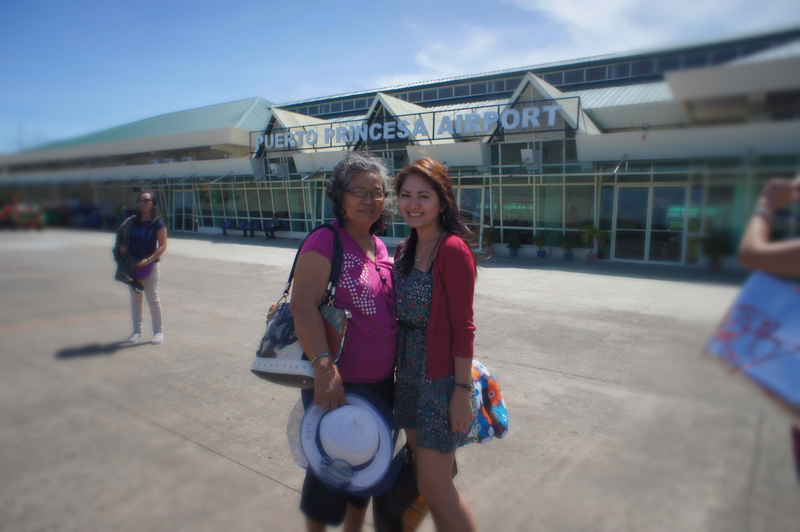 that's three generations) travelled to Puerto Princesa, Palawan. We went there to have fun and spend quality time together. I've already lived in Singapore for a while so spending time with them is really valuable for me. I'm so blessed to have bought cheap domestic plane tickets to Puerto Princesa Palawan, Philippines from Cebu Pacific Air. You might want to check them out in case they have seat sales going on from their site. It's only an hour or less flight from Cebu, Philippines. When we arrived at Puerto Princessa airport, I immediately noticed that the airport is bit small which is located in the middle of the field. After we got our bags my grandma asked where we go next ( well, I can understand her curiosity since she'd never did a tour before ). I told her not to worry since someone outside is waiting for us. She was indeed amazed when she saw my name on a whiteboard or paper carried by the driver. She really asked me how did they know that we we're coming so I had to explain everything to her on the way. 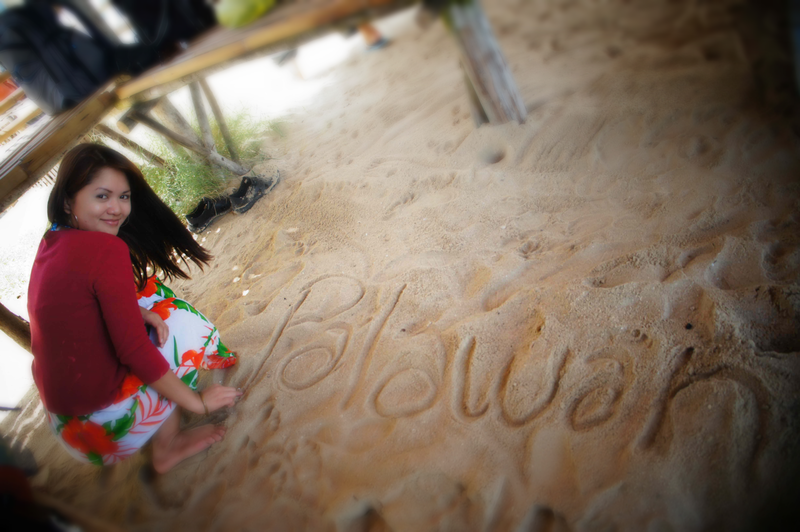 During our 3 day vacation to Puerto Princesa we stayed at Kawayanan Resort. The place is small yet very quite. We opt to stay in a cottage which is quite big. It's interesting to note that the cottages are named after local flowers. Here our cottage name is gumamela a local name for the hibiscus flower. There is a swimming pool in the center of the resort. And here I am swimming. Here's another angle of the swimming pool with the cottages in the background. If you want to stay here don't forget to bring your anti-mosquito repellent. We we're so amazed when we saw our names in the white board displayed at the resort. It was so thoughtful of them to do this. We enjoyed staying at the resort as a family. What I love about this resort is the fact that they offer tour packages. I remembered booking the City Tour, Honda Bay Island Hopping Day Tour and the Underground River Day Tour which I'm going to talk about in my succeeding posts. I find their tour packages very convenient because it starts from the resort itself. You might want to check out their package tours from their site. The truth is I really missed doing this. This is a very memorable trip because I get to share it with my love ones. I really hope that we could do this again in the future. UP NEXT : PUERTO PRINCESA PALAWAN CITY TOUR. I love your pictures, beautiful place!